JP Supermatch™ barrels are manufactured to our highly exacting specifications for superior performance and optimal fit with our components. These barrels are turned from the finest 416R stainless steel and then lead-lapped, button rifled using state-of-the-art equipment and air-gauged to ensure minimal bore diameter run out for peak accuracy. We also make a point of cryogenically treating all of our rifle-caliber Supermatch™ barrels for cold bore shot predictability, minimum thermal drift, outstanding accuracy and extended barrel life. 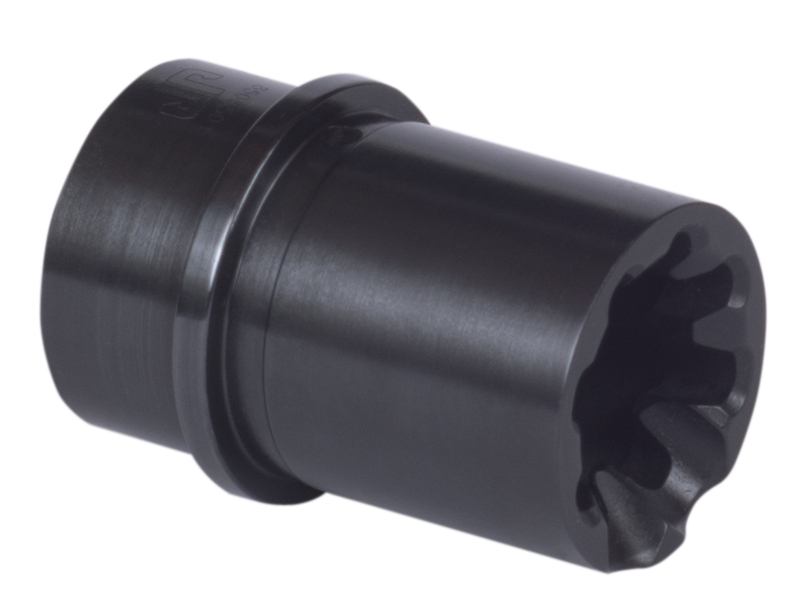 All Supermatch™ barrels (excepting 9mm) come with an individually head-spaced JP EnhancedBolt™ assembly and can be purchased in either Black Teflon® or one of several stainless finish levels. Read more about our Supermatch™ barrels here. Each of our Supermatch™ barrels is also available as a complete barrel kit with your choice of JP Adjustable Gas System and JP Recoil Eliminator or JP Compensator, which can be timed with one of our jam nuts or seamlessly fit with a polished finish and polished feed ramps, just as we prep them for our rifle builds. Adding a JP Thermal Dissipator is a very popular upgrade option for any barrel kit, and like our barrels, each barrel kit also comes complete with an individually head-spaced JP EnhancedBolt™. For peak accuracy and reliability with the widest variety of ammo at safe pressures, our barrels are chambered to .223 Wylde as we believe it represents the best compromise between the SAAMI commercial spec chamber and the NATO-type chamber. There is a strong conviction that a NATO chamber is essential in a duty-style rifle for reliability reasons, but this is a severe oversimplification. Superior reliability—or as we prefer to call it, the expanded "operational window" of the weapon—is a result of many other factors often ignored by most manufacturers. It is not dependent on some subtle, esoteric difference between the .223 Wylde and the 5.56 NATO chamber designations. For our .223 barrels, we have had great results with a wide range of projectiles from 40 to 77 grains in the 1:8 twist, and we feel it's the best overall compromise for the type of loads you are most likely to shoot. Most shooters on the tactical competition circuit prefer to use the higher BC projectiles such as the 75 to 77 grain bullets, and the 1:8 twist rate is ideally suited for this use. However, don't pay attention to any of the old wives' tales that fast twist barrels do not shoot light bullets. Some of our best test groups have been shot with 50 to 55 grain polymer-tipped bullets. Our .308 barrels, by contrast, favor a 1:11.25 twist rate that will stabilize anything from 110 to 175 grain. The cryogenic treatment that our Supermatch™ barrels undergo is a day-long process using liquid nitrogen to slowly lower the barrel's temperature to -300° F, after which it is then heated to approx. +300° F. This treatment yields three major benefits, namely: cold bore shot predictability, minimum thermal drift and vastly superior barrel life. No other major manufacturer invests this expense and added effort into every barrel, but years of experience have shown it to be worthwhile. It is not uncommon for us to hear feedback about our .223 barrels going tens of thousands of rounds and still retaining MOA or better accuracy. 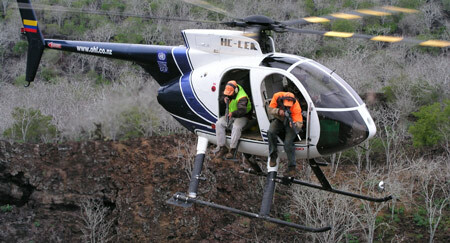 One of our favorite examples is the Charles Darwin Foundation based in the Galapagos Islands. Some years back, this outfit purchased twenty-two of our JP-15™ series rifles for use in non-indigenous species eradication programs. Their hunting operations consist of their retired SF operators shooting feral goats from helicopters so rapidly that each shooter carries a pair of rifles so they always have one to shoot while the other is cooling. When we took the order, we understood that the round count would be very high on these rifles and that their accuracy requirement was MOA or better with the ammo they had specified. After several years, we hadn't heard anything from the director of the program, so we emailed him asking for a status on the rifles. According to him, they now had over 40,000 rounds through each one, and they still passed the one MOA requirement. That kind of longevity is simply unheard of and can really only be attributed to the benefits of cryogenic treatment. Check out this link to a BBC documentary where you can see JP rifles being used for this application. Developed during the panic of 2013 when 7.62 barrel extensions were difficult to acquire, our JP Optimized Barrel Extension came about as an opportunity to reexamine another standard AR item and redesign it to meet our exacting standards. By changing to a new proprietary steel with alternative heat treatment, we managed to achieve a strength and toughness not previously available with destructive testing showing significant improvements to both duty cycle range and maximum failure compared to the extensions that we previously used. Moreover, by incorporating subtle changes to the geometry and features, we now have an extension piece that reduces friction upon locking and unlocking, making the operating system easier to load and clear. Thanks to results like these, all JP 7.62/308, .260, 6.5 Creedmoor and 6mm barrels are now completed using this new optimized barrel extension. If you are a custom gunsmith engaged in producing custom AR-10 type barrels or have a custom shop producing barrels for you, don't limit your builds to a standard extension piece. The JP Optimized Barrel Extension surpasses any extension used by any other manufacture to date and is the only choice for high-grade custom builds. We're experiencing some barrel overload and need to make some room. All the JP Supermatch™ barrels below are priced to move and come in various finishes, with and without comps. Each includes an individually headspaced JP EnhancedBolt, just like our standard barrels. Many have multiples available if your next project involves more than just one rifle. What Our Customers Think "The JP Rifle exceeded my wildest expectations." "Thanks for making such great rifles!"